New materials are essential for future energy independence, environmental sustainability, and next-generation manufacturing. The Materials Genome Initiative will decrease the materials discovery process by more than 50% - creating new solutions and products faster. Integrated data management is critical for MGI success. Industry needs large databases of material properties, methods to intelligently probe the data, and the means to validate and critically evaluate data quality. NIST currently provides such data management tools to the chemical industry for chemical process and product design through the Thermodynamics Research Center. Our goal is to extend the TRC data infrastructure model to the field of materials science – providing the framework for data archival, guided data capture from the scientific literature, and on-demand evaluation of data quality. Learn more about the Thermodynamics Research Center (TRC); it's history, capabilities, and expanding role in chemical processing, experimental planning, and process design. TRC's growth in becoming the nation's leading repository of thermodynamics data, along with evolving programing and software design to enhance delivery of the data, makes the move into material science a natural progression. 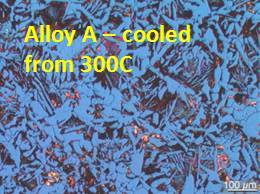 Alloy properties are substantially affected by composition and processing. Phases and microstructural features change as a function of processing conditions (e.g., finer microstructures typically result in stronger alloys). 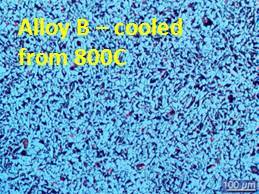 Extending the TRC integrated data management approach to alloy development will include phase diagram data, thermochemical data, diffusion data, thermodynamic property data, and mechanical property, among many others. ThermoData Engine (TDE) Software Implementation of the Dynamic Data Evaluation Concept. Thermophysical and thermochemical properties on-demand for chemical process and product design.